Fittings and alterations can be a stressful part of the process if you’re not prepared. 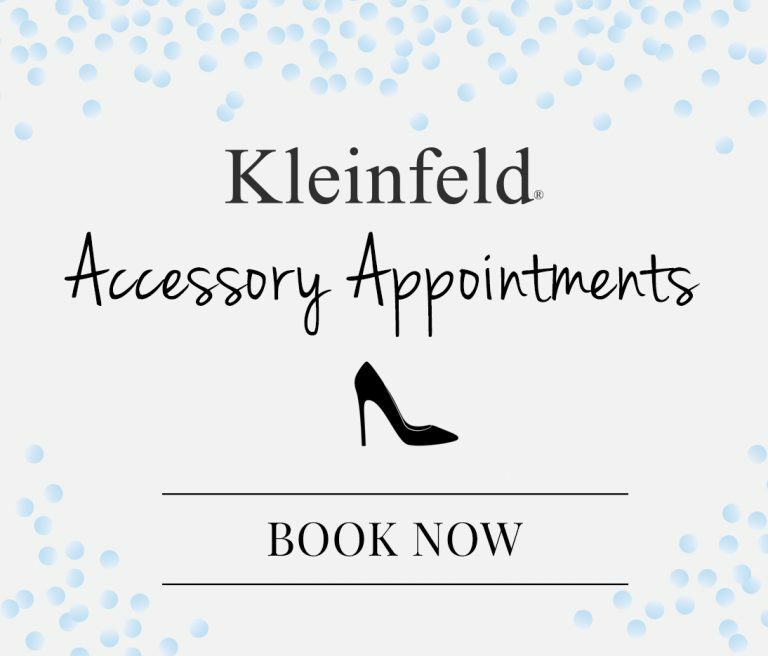 While there are lots of intricacies and several steps, Kleinfeld fitters will make the process easy and comfortable every step of the way. We want you to be completely at ease, so here’s a quick guide on what to expect during the fitting process. 8-12 weeks before your first fitting you will receive an email or text from Kleinfeld that it’s time to schedule your first fitting. During your fitting, you’ll first try on your wedding dress. Remember, your dress was ordered according to the largest measurement (between hips, bust and waist) therefore it will likely NOT fit properly right away. At the first appointment we’ll pin the dress in all of the right places so our seamstresses will start customizing your dress to your body! What to Expect: This appointment will take about an hour. Keep in mind that’s about an hour of standing in your dress and shoes while it’s being pinned by a seamstress. So please be prepared. Many brides insist on coming to their fitting on an empty stomach—we DO NOT advise this. At the end of your first fitting, you should be prepared to book your second fitting appointment. Your fitter will suggest some dates and you should also have a few dates in mind. 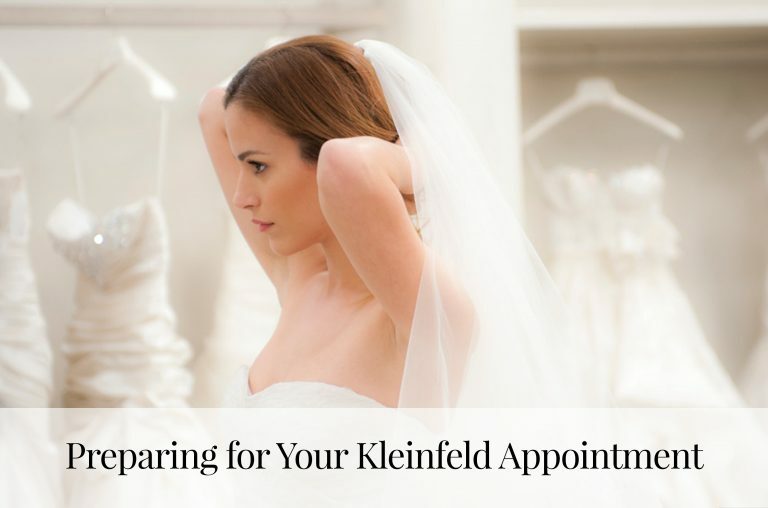 2-3 weeks after your 1st fitting, you’ll come back to Kleinfeld for your 2nd fitting. Your dress will have been basted (lightly sewn) according to the first fitting. 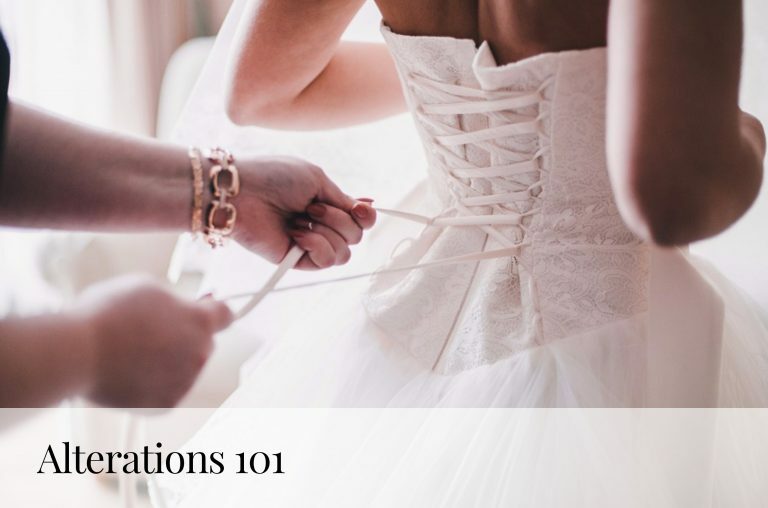 This appointment is one hour and you’ll start to see the fit of your wedding dress. It will have taken its shape from the first alterations appointment and it will fit your body better than the first appointment. To improve the fit, more pinning may take place. 2 weeks before your ship or dress pick-up date,you’ll schedule your final fitting! This is the last time you’ll try on your dress at Kleinfeld. Our fitters will triple-check everything and we’ll make sure you’re completely in love with the fit of your dress. Once your dress is completed, your fitter will help you schedule your pick-up or ship date. After your final fitting, you will make arrangements to press the dress for pickup or shipping. The dress is pressed, steamed and packed with tissue paper so it maintains its shape and will be ready to step into on your wedding day.!. The dress will be placed into an opaque garment bag.